Clarity, cash, and clients. Three extremely critical components of operating a growing, flourishing, and profitable business. Miss any one of these and you are in trouble. Capture any of them in the wrong order, and you plateau. What types of businesses do you work with? What does a transformation with a client look like? What are common mistakes you see when you start working with clients? What changed for you when you hit a plateau in your business that allowed you to turn it around? How Wendy tailors a specific system to her clients to help them succeed in their business. The importance of knowing your target audience. The difference between value and offering. Why Wendy likes working 100% online. If you are an entrepreneur and are looking to take your business to the next level, this Podcast is for you! This has become my favorite episode because it helped me see my approach to finding and meeting prospects was wrong which is why I have difficulty closing the sale. No more chasing the wrong prospects! I am going to narrow my focus to three industries and set an agenda for every meeting. I need to get this episode transcribed because it contains so much practical and valuable information. Congratulations! I listened to Tamara's interview today with Lisa Anderson on her podcast over linkedIn. I found it very well presented with and easy to follow. It reminded me of our conversation we had in Tamara's office a few weeks ago. The material was well prepared and the delivery was excellent. The tone of her voice was very appropriate and the language was professional but accessible to the layman. Really Great interview! The moderator was also excellent in that the types of questions she asked of you were very important and tailored to her audience who are small business owners. Great work both of you! Very strong interview...discussion between friends and business partners. Lisa, great job, as usual! Another purposeful conversation had for business owners. Pat! Way to stretch out. This was awesome on behalf of the Ryan Odelle Mance Memorial Scholarship Foundation. And to both of you, I really think this episode can be used for MANY other non-profits - or for for-profit businesses as well - who are starting or preparing for the next season of their business. There were many takeaways, but the one that shines bright for me is knowing and remembering your reason why. And I think organizations - whether it's to start their meetings or to begin and end their retreats - can use portions of this podcast to be inspired, remember why they do what they do, and/or to go into an exercise of discovering or reformatting their why. Additionally, I also envision this podcast being the start of strategy session. Good work and great service! When I found Lisa Anderson's podcasts I started with one and never stopped listening. 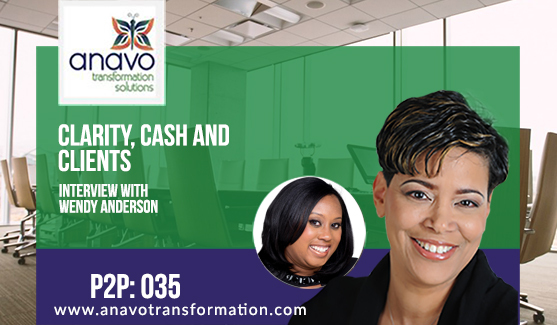 She provides high quality, challenging strategies that move you out of your comfort zone. No fluff, just "straight black coffee" in her words and Its awesome. I am inspired and moving forward with her model for business success. Listen to some of the podcasts and you'll see what I mean. Thank you Lisa for all that you do for small and growing businesses. What an abundance of excellent information provided through your Podcast, without which a lot of the public would not know about. Continue the great broadcasts Lisa. Well done!! LOVE this! As a small business owner this podcast is invaluable. My audience and business model is a little different, but I'm getting so much value from the interviews and new ways to structure things in my business. I highly recommend! Great Business Resource for CEO's! I love Lisa's straight talk. I'm now looking at new ways to take my business to the next level! Your background is impeccable. This sounds like a true gift of the real thing...Black Coffee! I look forward to the podcasts. Thanks! [Lisa] has transformed my thinking. My obstacles are now growth opportunities. My “mistakes” have become best practices upon which to build. She is very inspiring and has helped me transform my “lemonade stand” mentality into something greater. My confidence has been greatly increased through her encouragement and expertise. John Haynes, III Founder, Regeneration! Antwanye Ford President & C.E.O, Enlightened Inc.